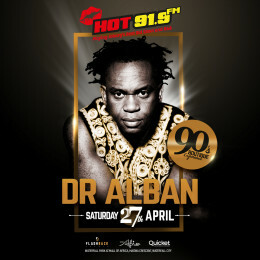 Come celebrate Freedom Day with Hot 91.9 as we bring back those 90s vibes with smash-hit artists Haddaway and Dr Alban! 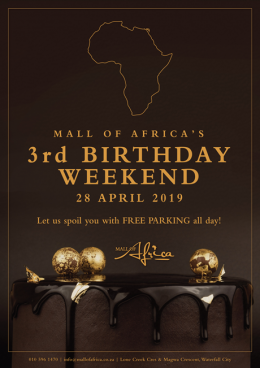 Get out those capri pants and high-waisted minis and come shake a tail feather at the Mall of Africa Amphitheatre for a good and proper Old Skool dance featuring other timeless acts Just Jinjer, Dr Victor and the Rasta Rebels, and Black Ice! 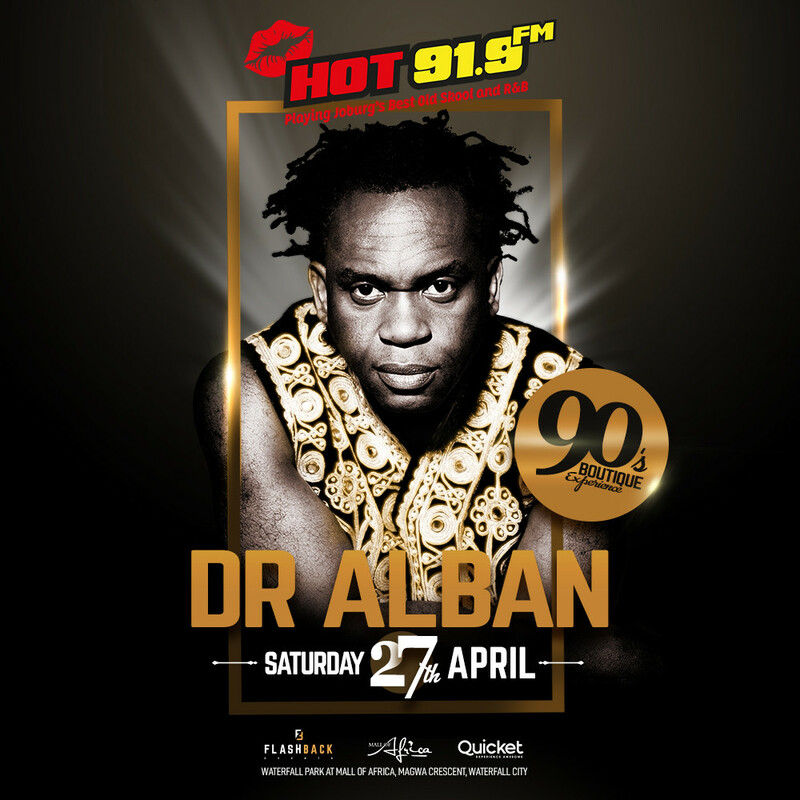 The ‘Hot 91.9 Flashback to the 90’s Freedom Day Concert - Saturday 27 April. Purchase online tickets here: www.quicket.co.za. 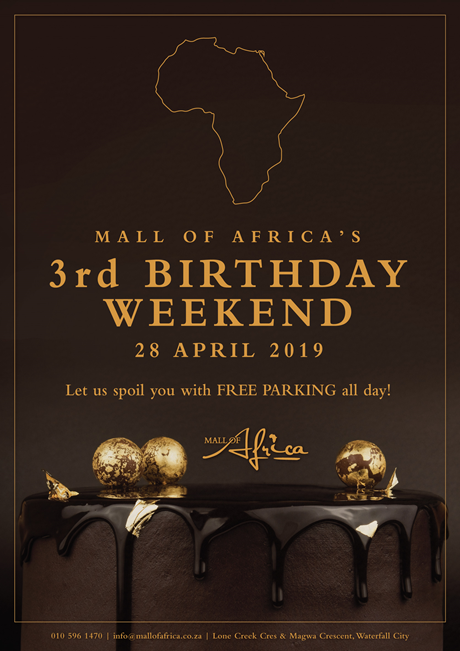 The 28th of April 2019 marks our 3rd successful year of trading and shoppers will receive free parking on the day. We will furthermore, be giving away SUPRISE & DELIGHT spot prizes and chocolate give-aways to our loyal shoppers. Join in the #LindtGoldBunny Hunt! Easter is around the corner and we know what your needs are! 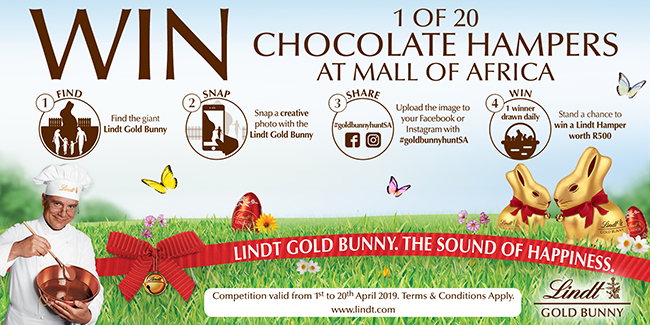 Stand a chance to win 1 of 20 Chocolate Hampers at the Giant Lindt Bunny in the Crystal Court. Find the giant Lindt Gold Bunny. Snap a creative photo with the Lindt Gold Bunny. 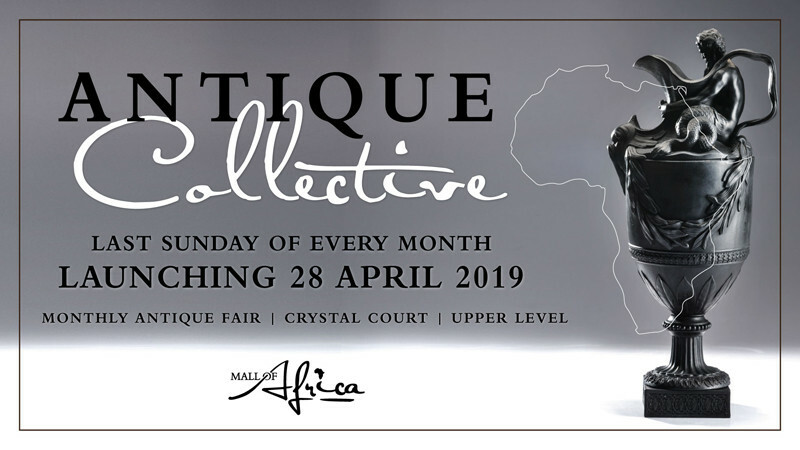 Last Sunday of every month launching 28 April 2019.